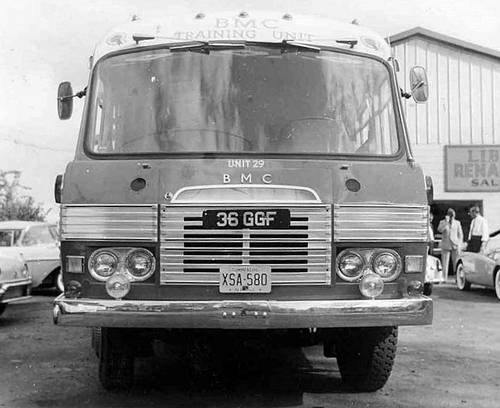 And now for something completely different: a 1963 Pininfarina bus, coachbuilt for BMC’s Competitions Department. Now that is coach building! You know Pininfarina was happy to work with the British Motor Corporation in the late fifties and early sixties. It were them to take Austin to the square age with added fins and brightwork. Meanwhile they did the same for Morris, Riley and Wolseley. 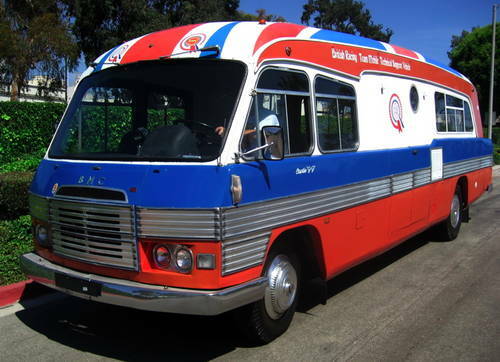 But did you know they designed a finned bus for them too? Well, I didn’t, and was amazed when pictures of it crashed onto my desk last week. This Perkins-powered bus is so cool, it makes you forget the over publicized Ecurie Ecosse transporter or the Teutonic and over restored Fast Transporter of Mercedes Benz’ Rennabteilung. Besides, this one comes completely as it should be with fingerprints of the sixties all over it. It’s an incredible part of British motoring history, that’s up for sale too. 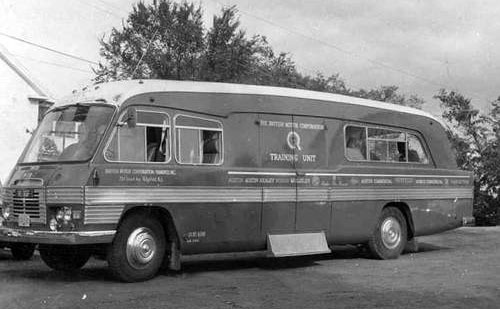 Although a Pininfarina design, the actual coachbuilding of the transporter was carried out by Marshall's in Cambridge. They came up with an all aluminium construction including inner body structure similar to that of an aeroplane. 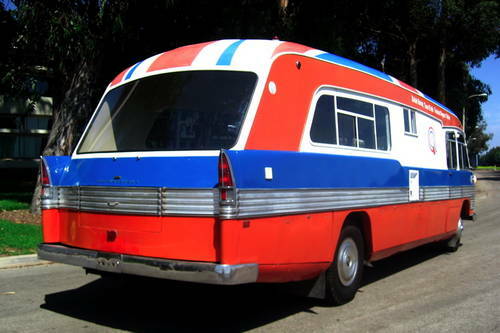 The rear fins that had become Pininfarina’s trademark for many of their passenger cars of the era were incorporated in the bus too. Incredible? Yes. Impossible? No. At least two of these vehicles are supposed to be built and one of them has apparently been converted to an opening rear door to load cars, although that didn’t come with the fins. This example is still in its original configuration. But as the seller states: “If the next owner does not choose to keep it original, it could be converted to haul cars, tow a trailer, or simply be used as a driver's lounge (or posh apartment on wheels) at the track. It would be fitting to change the colour scheme to blood red, and have it lettered with ‘Scuderia Ferrari’ script.” I’d say that would be a criminal thing to do.